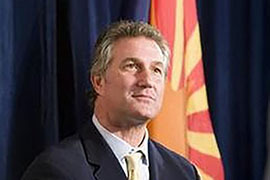 WASHINGTON – A federal appeals court Thursday upheld the fraud, racketeering and public corruption convictions of former Arizona Rep. Rick Renzi, rejecting a slew of challenges from him and co-defendant James Sandlin. Renzi, who represented Arizona’s 1st District in Congress from 2003 to 2009, was convicted of siphoning money from his insurance business to his campaign and of trying to engineer a land deal in exchange for his support of a bill. A three-judge panel of the 9th U.S. Circuit Court of Appeals flatly rejected the co-defendants’ claims that the evidence was insufficient to convict them. The panel also rejected Renzi’s claim that testimony about his actions violated the Speech or Debate Clause of the Constitution, which prohibits members of Congress from being arrested or questioned outside the Congress for their legislative activity. “Congressmen may write the law, but they are not above the law,” said the opinion, written by Circuit Judge Richard C. Tallman. One of Renzi’s attorneys said in an email Thursday the defense team was “disappointed in the court’s ruling.” Kelly Kramer added that the defense team plans to “seek further appellate review” in the case. Calls seeking comment Thursday from the U.S. Attorney’s Office in Arizona and the Public Integrity Section of the Justice Department, which prosecuted the case, were not immediately returned. Renzi’s troubles began the day after he announced his candidacy for Congress in 2002, when he shifted $400,000 in premium payments from the insurance agency he owned into his campaign, according to the ruling. When clients started having policies canceled for nonpayment, Renzi directed an employee to fabricate letters claiming they were being covered under new policies from a different company, the opinion said. In 2005, Renzi introduced legislation for a federal land swap with a copper mining company, but pressured the company as part of that deal to buy land near Fort Huachuca that was owned by Sandlin. At the time, Sandlin owed Renzi $700,000 for buying Renzi’s share of a real estate business they had been partners in. But Renzi was telling those involved in the deal that “there was no business relationship” between him and Sandlin. When the mining company backed away from the deal, another firm stepped in. Renzi said then that he would guarantee a “free pass” through Congress for the bill if the Sandlin property was part of the deal. After what the court called “an extensive investigation,” Renzi was indicted in 2009 of public corruption, insurance fraud and racketeering. Renzi was convicted in June 2013 on 17 of 32 counts and sentenced to 36 months in prison. Sandlin was convicted on 13 of 27 counts of public corruption and sentenced to 18 months. All counts were upheld Thursday. Sandlin noted that he had never made a secret of the fact that he had a business relationship with Renzi. But the court said that other evidence presented to jurors was “powerful proof of criminal intent” on Sandlin’s part. 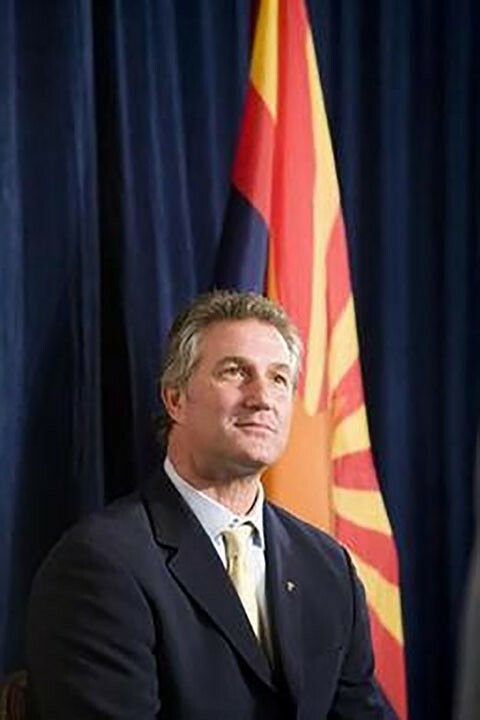 A federal appeals court upheld all charges against Rick Renzi, a congressman from Arizona from 2003-2009, who was convicted of multiple counts of abusing his office.